For customers, grease collection is that easy. Better for Your Business. Better for Your Environment. MOPAC has been in the Rendering & Recycling business for almost 140 years. Though we have a company with a lot of history, we stay in the 21st century. MOPAC has embraced new technology as it is introduced into our industry to help facilitate the collection of used cooking oil from restaurants and other food industries. Currently, MOPAC has all customers on a computerized routing schedule determined by the projected quantity of previous collected used grease or used cooking oil. We determine how frequently to collect your yellow grease and used cooking oil by what volume you indicated on your restaurant form and can be adjusted depending on your needs. 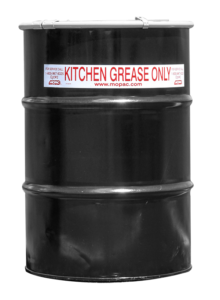 If you had an increase or decrease in your grease intake and need to vary your scheduled grease pick-up amount, contact us and we will adjust your pick-up accordingly. 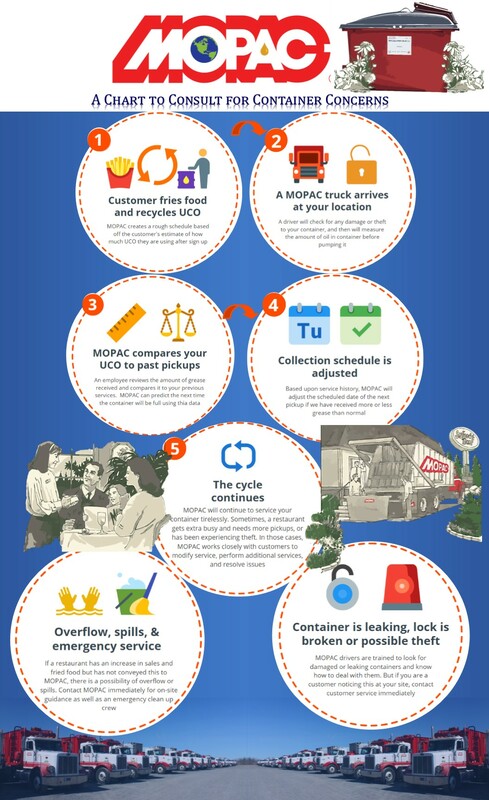 Check out the chart below to see MOPAC’s collection algorithm explained. 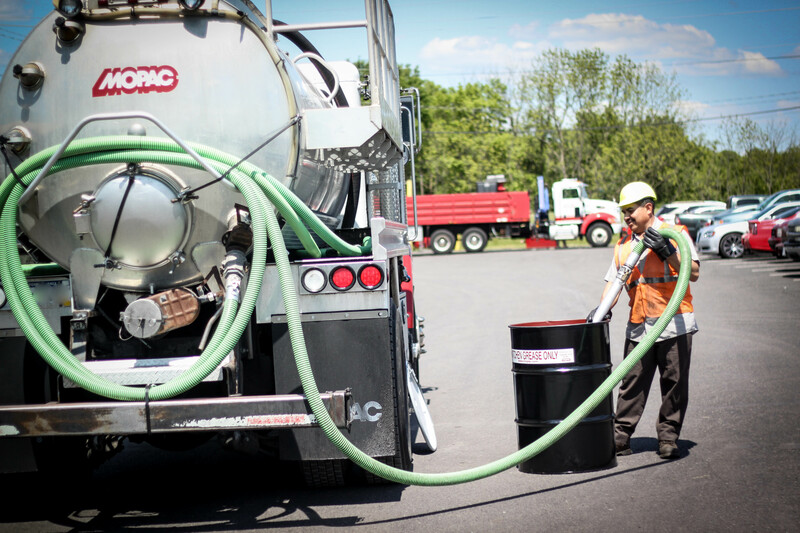 If your tank or drum is full or overflowing, click the link below to put in a request that will have us there within the next day or so (check our blog for what you can do immediately about overflow and spills). If your tank is less than 3/4ths full, we recommend your business waits till it is full to put in a service request, or wait for our pre-programmed routed scheduling.